Kent Fasteel Waterfowl shells use quality components to produce consistent patterns and balanced shot strings at high velocities while dishing out less recoil. 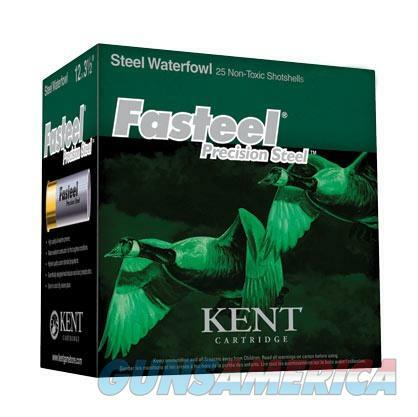 Kent's Fasteel all-steel shot penetrates deep and retains plenty of energy to reliably bring down ducks and geese. 25 shells per box. Shot Weight (ounces): 1 3/8 oz.